Alright ladies and gents, T-minus 10 days until Thanksgiving! Today I’m sharing my Turkey Day tablescape – place setting and centerpiece. Many of the goodies are on SALE – gold chargers, gold flatware and gold glasses! Can you tell there’s a theme?! 🙂 Gimme alllllll the GOLD please!! As I’ve mentioned numerous times, when decorating and even putting together an outfit, start with a THEME!! I selected a neutral-rustic color palette with a pop of gold!! YAS please! When entertaining, it’s all about the details. One key item I’m obsessed with on my Thanksgiving table is the custom name wood slices. I mean… I can’t get over how cute they are!! Rustic yet chic… check, check!! I found them from a vendor on Etsy. They make all different types of name place cards – check them out here! It is one of my most favorite personal touches to add to a table. Trust me, your guests will love it! 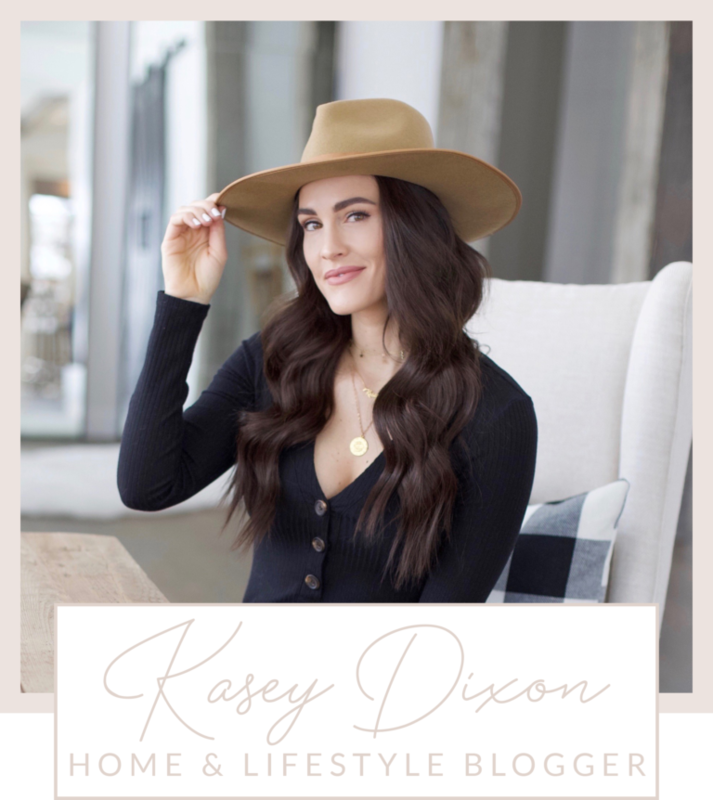 See below to shop ALL of my dining room decor and place setting links. Check out my earlier post on how to put together a centerpiece here! 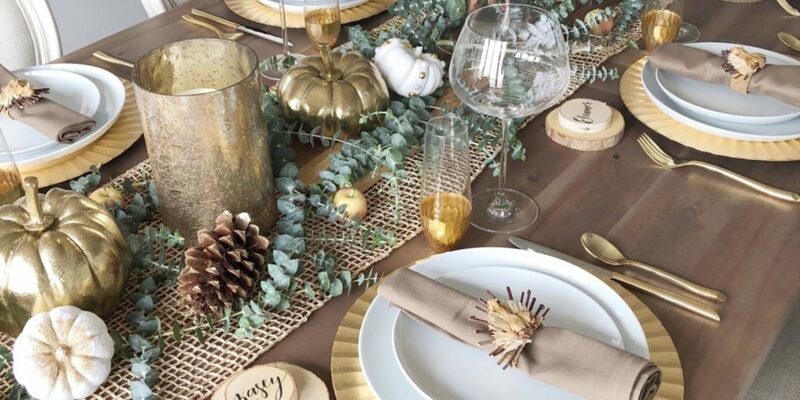 Share the post "Gold Thanksgiving Table"